A few weeks ago, I posted the February Prayer Challenge. How is that going for you? It may not be as easy for you as it sounds. Focusing your prayers for one full day on a person you may or may not even like can be a challenge. There have been some days that my prayer has been to ask for help to love the person better. Over the past couple of years, our church has had some schedule changes for some of our programs – but not Sunday School or the Sunday Morning Worship Service. Those have stayed the same. And then last year, there were some major changes in our ministry personnel resulting in the church being without a Pastor for the past 7 months or so. And this has resulted in our Wednesday Night Prayer service becoming non-existent. In an effort to change this, last Sunday, one of our members requested that the church be open for prayer from 6 to 7 pm. This request was approved and announced. For this service, quiet background music was played while we prayed individually for about 45 minutes. At about 45 minutes into the individual silent prayer, we all prayed aloud together, one at a time. The evening finished in the kitchen and meeting room with decaf coffee and homemade cookies. For our silent prayer time, some simply prayed silently with no ‘prayer aids’. I had a printed prayer list with church members’ and friends’ and families’ prayer needs, the elders and deacons, and the Pulpit Search Committee members. The back of the sheet was blank for me to add more. And I did. I also had the Bible app on my phone ready for quickly looking up scripture as I needed. Neither way was right and neither was wrong. They were both prayer. Today, I want to share some of my prayers from that evening. You can pray these prayers with me – for our church. Or you can pray these prayers for your own church and its unique needs at this time. When I got home that night and was talking to my friend in Arkansas about the prayer service, I learned that her home church is going through similar changes as ours. All churches need our prayers. I know Jesus was with us Wednesday night as we prayed together. I know that He is with us this now, too. • I prayed for the families of the two recently deceased members of our church. • I prayed for those on our list who are ill or have other needs, even if I didn’t know what they were. • I prayed for the loved ones of our members who are in the military. I prayed for our Youth Minister and his wife and for the elders and deacons and their wives. • I prayed for the Pulpit Committee and their families. • I prayed for the interim minister who will be preaching for the next couple of months and his wife. • I prayed for the future minister and his family who God is preparing to come and serve at our church, to be a shepherd to this flock. • I prayed for those us at the prayer service. I know there are some who do not believe in Spiritual Warfare. I do. And it’s scriptural. Why else would be instructed to put on the full armor of God in Paul’s letter to the Ephesians, Chapter 6, Verse 11 & 12? • When you are weak. • When you are about to make progress in the war and threaten to conquer the enemy. In most churches, you are going to find both of these at pretty much the same time. We have some who are weak. Due to the changes and lack of a Senior Minister at the moment, our church is weak. Evil forces will try to take advantage of this and attack. And we have some who are steadfast and continuing to fight the battle before them, aware that God has promised us that the war has been fought in His Kingdom is Victorious. They are making progress in this Spiritual War and are threatening to conquer the enemy. And the Evil forces do not like this. Evil will look for ways to attack the individual and the family and loved ones of the individuals. The Evil Forces will attack the church as a whole, placing stumbling blocks in front of us. • and for all of their families. • And the keeping accounts of grievances. I prayed that God would give us a bright, shining fresh faces and hearts, scrubbed and clean when we stand before Him. I prayed that God would fill each room of our church building with laughter and joy and praise and encouragement and support. I know that not all churches have the same needs at the same time. But all churches need prayers. 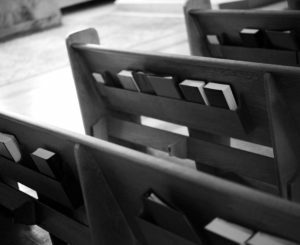 Even if you are not active in a local congregation, you can pray these prayers for the churches in your community or even the church back home that you attended as a child. These prayers shouldn’t be limited to your church family or local congregations, though. You can pray these prayers for YOUR family! • You can pray for your family members who are ill or in harm’s way or hurting emotionally. • You can pray for the spiritual leaders in your family. • You can pray for each family member in their various roles in the family. • You can pray for your family to be protected in whatever Spiritual Wars and attacks the family and individual members are battling. • You can pray for laughter, joy, praise, encouragement, and support to fill every room of your home. I mentioned a few weeks ago that God said of His word in Chapter 55 of Isaiah, “It will not return to me empty, but will accomplish what I desire and achieve the purpose for which I sent it.” God is not just our Creator, our Father in Heaven, our Provider, and the other roles that quickly come to mind. God is a model for us of how we are to live AND how we are to pray. And just as God’s word will not return to Him empty, OUR words will not return to US empty. Our words in prayer will return with answers and results. As you pray this week, expect results. Look for the answers to your prayers. And then celebrate the results and answers!